This past week, my friend and I attended the Atlanta Motor Speedway for the NASCAR Cup race. 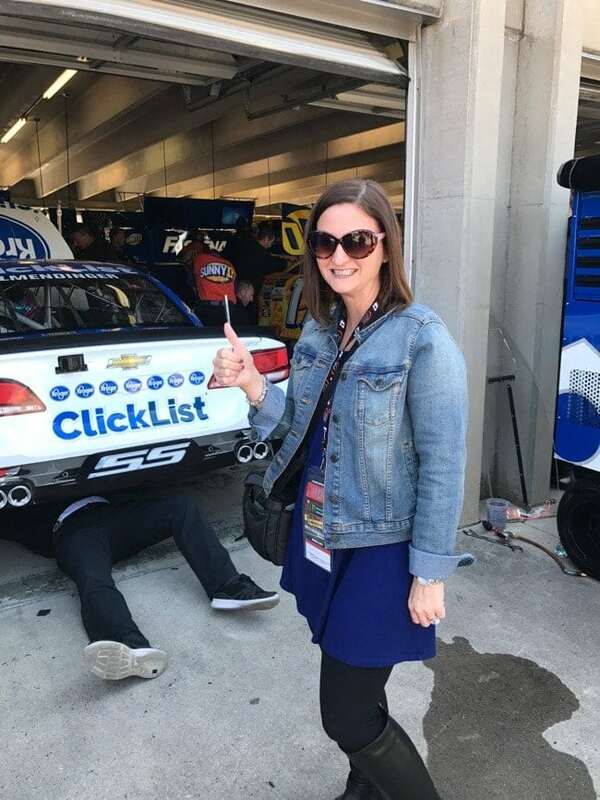 I have been a fan of Nascar for over twenty years and have attended many races, but this experience was like none other. 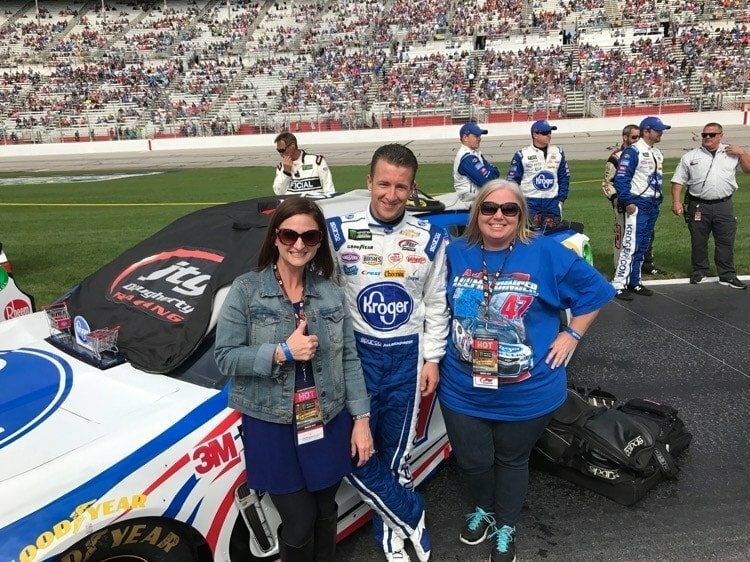 We were provided a VIP experience which allowed us to have an all access day inside the garage area, hang out with the JTG Daughtery Race team, watch the race in the pit area, and attend the driver’s meeting. What a once in a lifetime opportunity! When I received the invitation to attend, I simply couldn’t pass it up. Kroger Co. made this all possible. 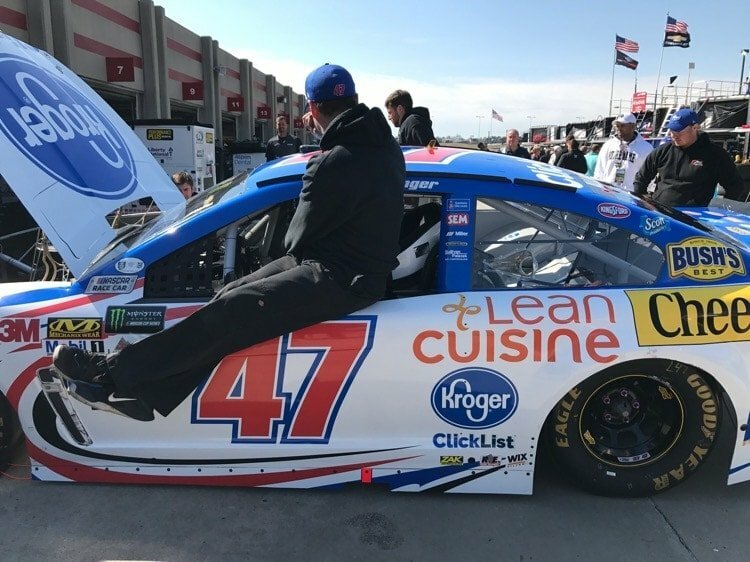 Kroger sponsor’s the JTG Daugherty Racing #47 Monster Energy Cup car which is driven by AJ Allmendinger. 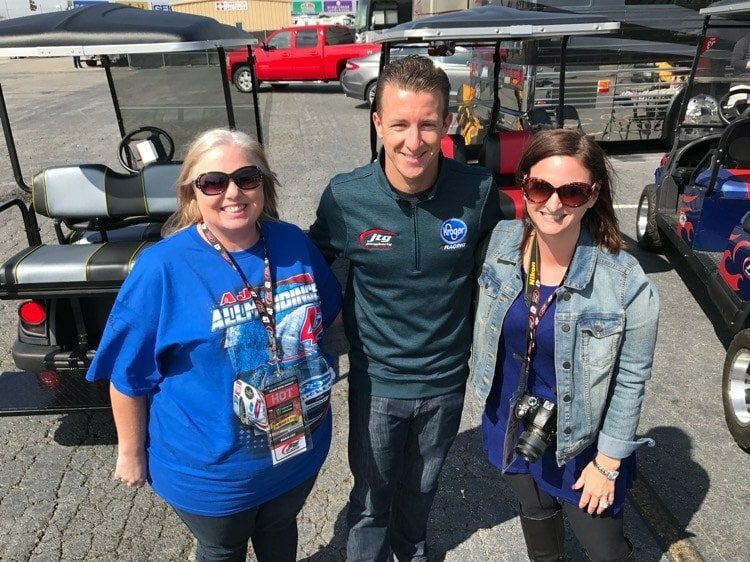 I was given the opportunity before the race to interview AJ Allmendinger. I learned a lot about him and know that he truly loves racing. We were provided a tour through the garage and pit area by Coleman, AJ’s spotter. It was pretty fascinating to watch the teams prepare their cars right before the race. Some of the things that they have to check are air pressure in the tires, make sure the wheels are secure and check all fluids. We continue the tour by heading down Pit Row. This area is very important for the team and driver. This is where the action takes place. I was shocked to learn and see how many tires that the car will go through in one race. 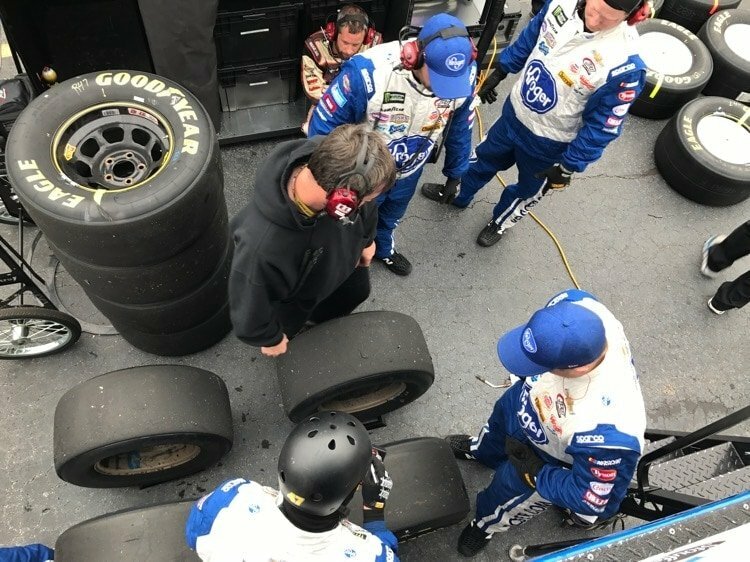 You see the tires set up and ready to go, plus all the equipment they need to make any adjustments on the car if needed. 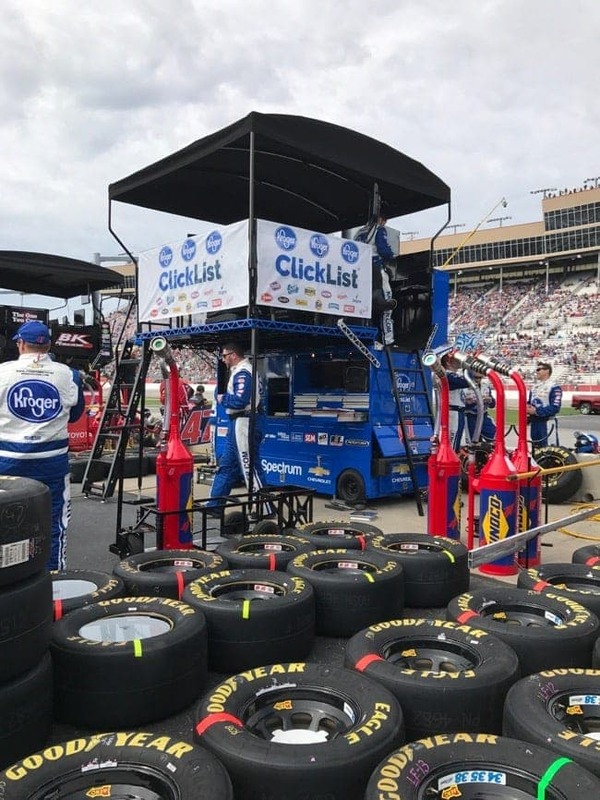 During a normal pit stop, the pit crew will change tires, make adjustment to the handling of the car by using the adjusting wedge, refuel the car, and remove the windshield tear off to clean the window. After Pit Row, Coleman took us over to see the #47 car hauler. 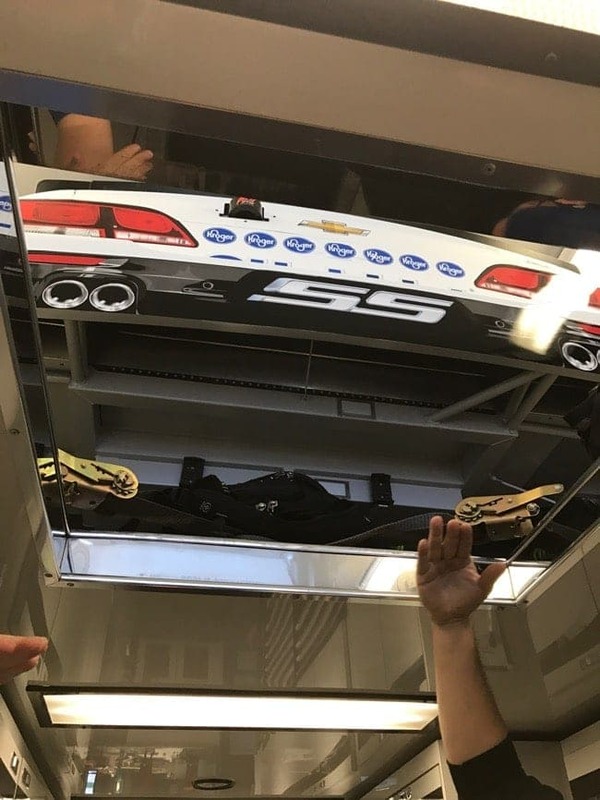 This is where the car is kept for the race. I did not know this but they bring along an extra car just in case their first car is wrecked during practice. However, in the real race if the original car is wrecked the extra car cannot be used. 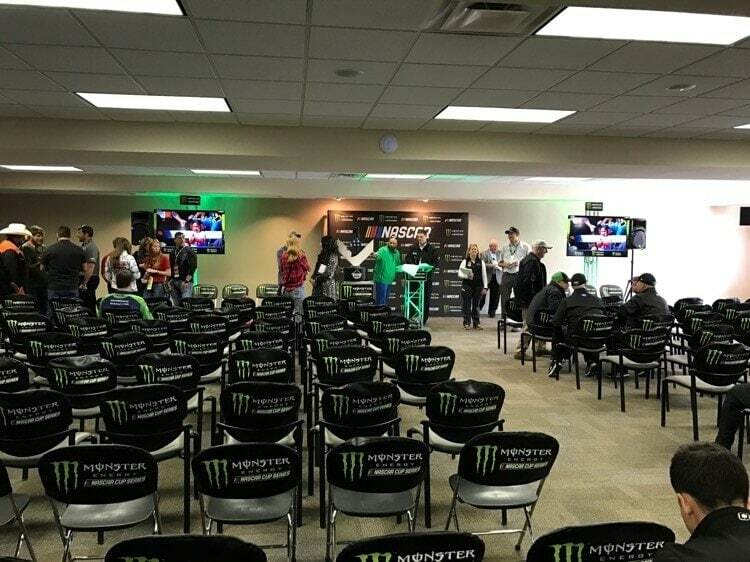 After the tour, we attended the driver’s meeting. This is a very important meeting that is conducted before every race. They go over track procedures with all the drivers and crew chief. It is mandatory for all drivers and crew chiefs to attend this meeting. From my understanding, if they are missing from the meeting, they are penalized and will start at the back of the race. After the meeting, we headed back to the motorhome for lunch. 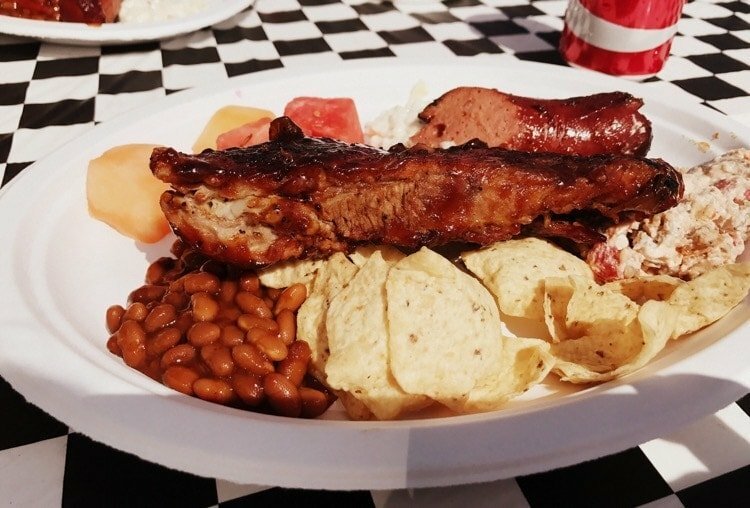 The team prepared us delicious southern BBQ Ribs, Smoked Sausage, slaw, baked beans, and fruit. 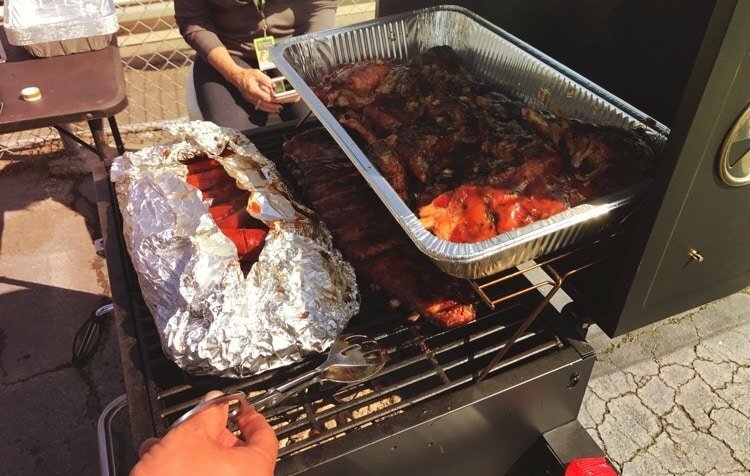 We got to chat with some of the team members over lunch and they shared with us what a typical week looks like for them on the road. They all seemed to really enjoy and love what they do! After lunch, it was time to start heading to the Pit Box again but this time to watch the race. The Pit Box is where the Crew Chief and other mechanical personnel sit during the race. There are several computers in this area that keep statistics of each lap and how the car is handling during a race. They use this equipment to help determine the adjustments that may need to be made to the car during the race. 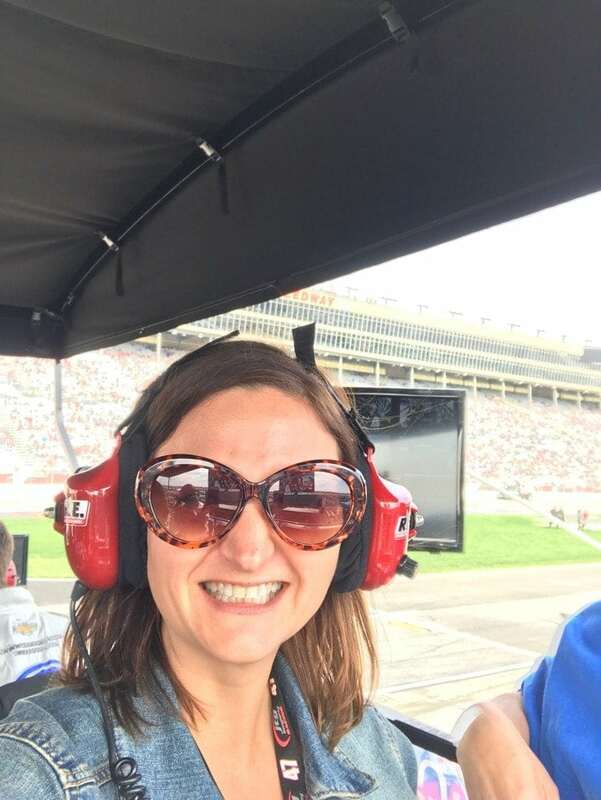 We wore a headset that allowed us to listen to the communication between driver and crew chief. Being able to sit here and watch the race almost like you are behind the scenes, was the most amazing experience! Even though I have been to many races in the past, this puts a whole new perspective on how in depth NASCAR racing really is. It is more than just a car going around on a track. It is about teamwork, hard work, dedication, and sometimes tough races or race victories! I want to thank Kroger for this opportunity. 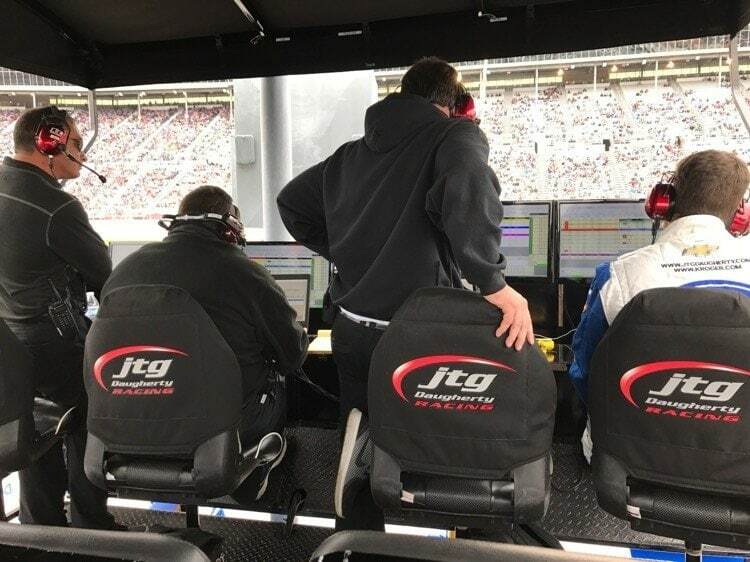 I also want to thank JTG Daughtery racing team for taking time out of their busy schedule to make sure this was an incredible experience for us.